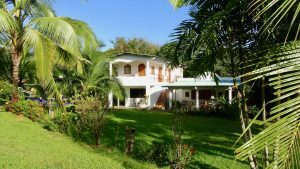 La Buena Vida is a small artistic hotel conveniently located a few minutes walking distance from Panama Dive Center and Santa Catalina Beach. 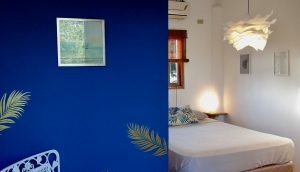 Private, individually decorated villas are equipped with air-conditioning, bathroom, hot shower and a mini fridge, and wifi is available on the premises. Breakfast is included and served in the beautiful garden restaurant where a healthy lunch can also be enjoyed. 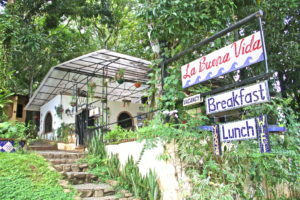 At La Buena Vida, you can also browse the small souvenir/art shop, take a yoga class at the stunning Bird´s Eye View yoga studio or treat yourself to a relaxing massage. 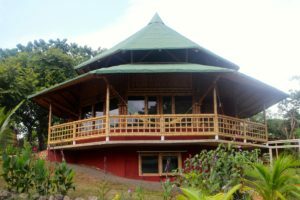 Deseo Bamboo Eco-Lodge is located in Santa Catalina on the East Coast of Panama, in a pristine and wild landscape, inspired by the values of sustainable living. 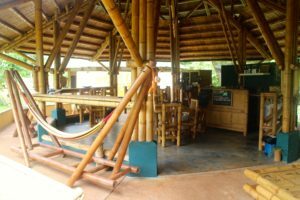 The structures of our facilities are made completely out of Bamboo Guadua Angustoifolia and combine relaxation and energy harmonically. 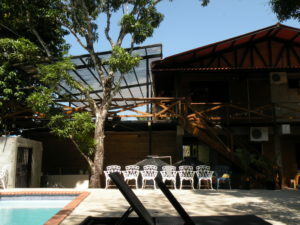 We have dorm rooms as well as private bungalows and all prices include breakfast and transport to Panama Dive Center for your diving. The Deseo Bamboo Eco-Lodge allows you to immerse yourself in one of the last remaining unspoiled havens. Architecture by itself cannot solve the environmental problems of the world, but it can contribute significantly to creating a more sustainable human habitat. 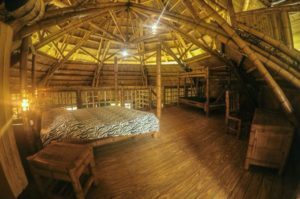 Deseo Bamboo Eco-lodge offers a limited number of rooms to ensure maximum attention to detail as well as a welcoming and cosy atmosphere. The bungalows are stylish and equipped with all the comforts needed to ensure the most relaxing stay. We don´t have air conditioning units in our rooms but the double roof structures make the space airy and fresh and our bungalows are equipped with fans. 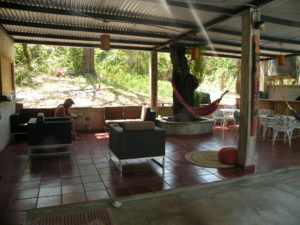 Villa Vento is the perfect Hostel for those who are looking for the perfect balance between fun and relaxation. We have a swimming pool in our garden, a great lounge where you can listen to music, have a beer (we sell beers for $1, cocktails and smoothies), and just relax. We have private and shared rooms with air-conditioning and shared bathroom facilities all of course equipped with comfortable beds and fresh linen. 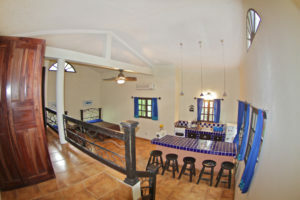 A fully equipped kitchen is also available to all our guests. 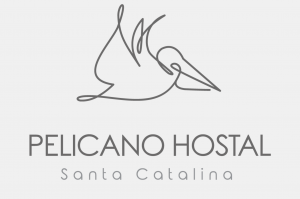 Pelicano Hostal is a small bed & breakfast located at the entrance of Santa Catalina. A family atmosphere and varied breakfasts made with love by the two Swiss managers, Laetitia and Zian. The three rooms of the hostel overlook a pretty garden, and bikes are available to explore Santa Catalina and its surroundings. You can also enjoy delicious craft beers at the bar. If you are looking for a friendly atmosphere, care in the details and some other little touches, this is definitely the place! Since November 1st, The Ministry of Environment has restricted the access to the main island and the ranger´s station The explanation given was that they are doing renovations on the premises. The daily entrance fees still have to be paid. Therefore, it is not longer possible to sleep on the island. 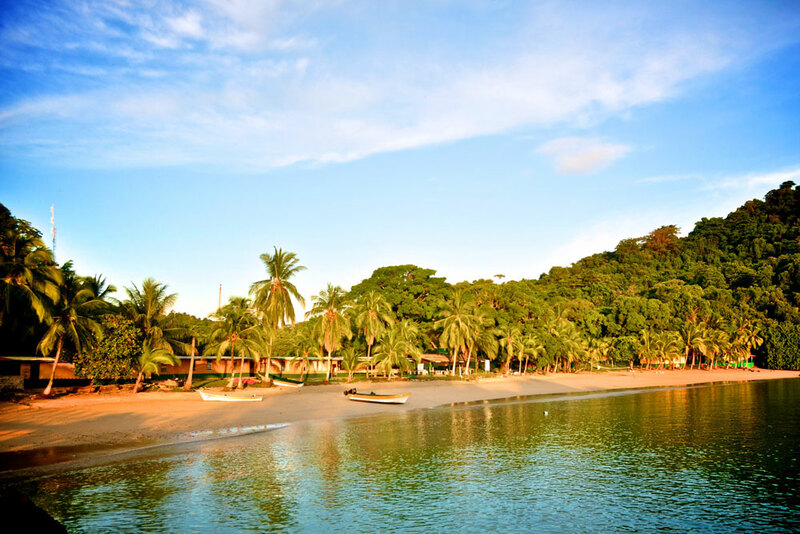 This affects ALL operators that go to Coiba National Park.